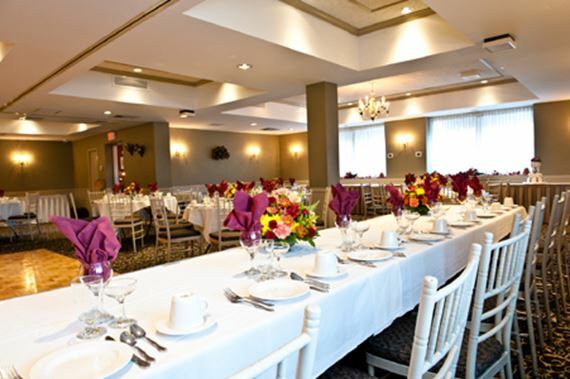 If you are a West Hartford resident who just got engaged, please consider having your wedding reception at the renowned Manor Inn in Milldale, CT. Our superb banquet facility has been hosting weddings for 50 years with catering on the premises and beverage options. 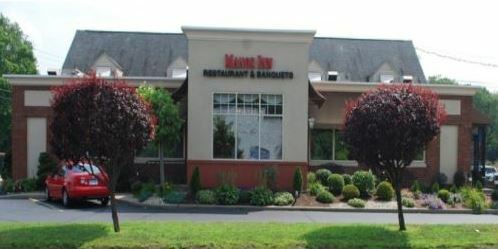 You won't believe how quick and easy it is to get to the Manor Inn from your area from West Hartford. The Manor Inn is independently owned and operated, not part of a chain where you might face talking to someone on the phone several states away. We give every bride and groom the kind of personalized service they deserve. Up to 150 guests can fit in our modern banquet room. The electrical outlets are up to code to accommodate your favorite DJ or band. Free parking is available. We do all of the catering on site and offer menus filled with America's favorite wedding dinners. Our Wedding Sit Down Dinner and Wedding Buffet Package were designed to give people flexible choices. We also invite you to order napkins for your tables and the beautiful wedding cake you've always wanted. To help you even more, we have published a Wedding Vendors page where we suggest, but not require, DJs, bands, photographers, florists and special rentals. We are considerate and helpful to all wedding vendors. Our goal at the Manor Inn is to give you the wedding of your dreams. Call us at 860-628-9877 to set up an appointment or inquire about a specific wedding date on our Contact page. We are minutes from West Hartford for a dream wedding. We'll make the wedding of your dreams come true at the Manor Inn in Milldale, CT.